Expert Testimony in Civil and Criminal Matters as it pertains to forensic interpretation and analysis. Consulting regarding Physical and Biological Forensic Analysis and Interpretation. Consulting on Forensic procedures including interpretation, standards, system calibration and chain of custody. 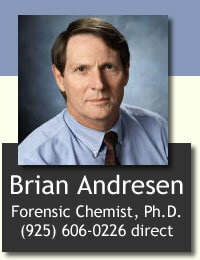 Consulting on Forensic procedures including laboratory analysis, field analysis, and sample preservation.